Do you have a noisy or clicking front CV joint when making turns? 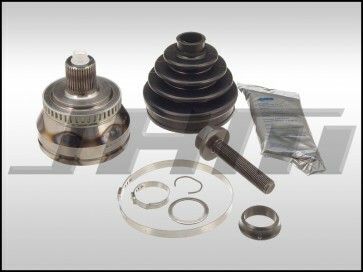 Then these replacement outer front CV joint and boot kits are for you. These kits are made by GKN, the Original Equipment Manufacturer (OEM) for Audi's CV Joints on the B5-S4.